Hello there! 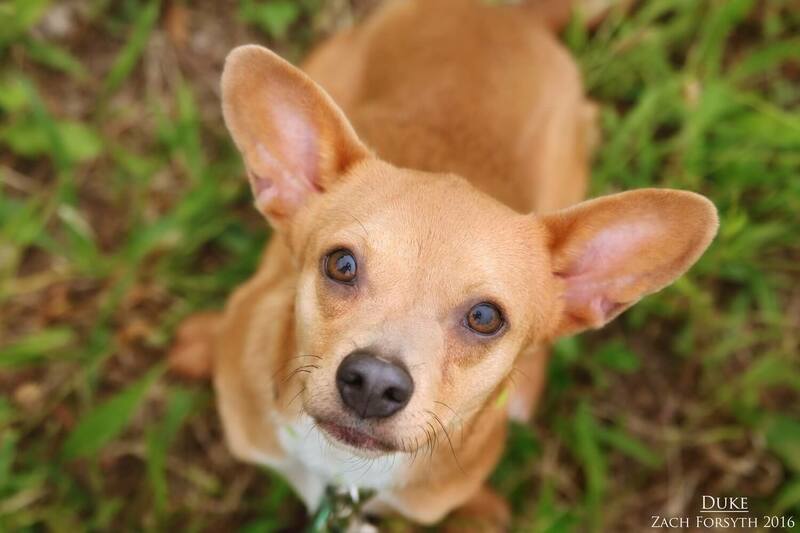 My name is Duke and I am an adorable one year old Chihuahua mix. I may only weigh 17 pounds, but man do I have a BIG heart! I just love to be loved! The city is so new and scary to me and I would do best in a quieter environment and away from all the hustle and bustle of downtown. Oh and somewhere near lots of grass too! For I just love rolling around in it! It my favorite thing to do, besides getting all of your love of course. I cannot wait to be touched! So much so that as soon as you stop petting me, I will worm my way right into your arms again! I am such a smart guy too. I even know how to shake, lay down, and roll over. I enjoy everyone I meet, including other dogs, cats, and kids too! Care to roll in the hay with me? Then fill out an application today and we can meet! I come to you neutered,vaccinated, and micro-chipped with an adoption fee of $250.